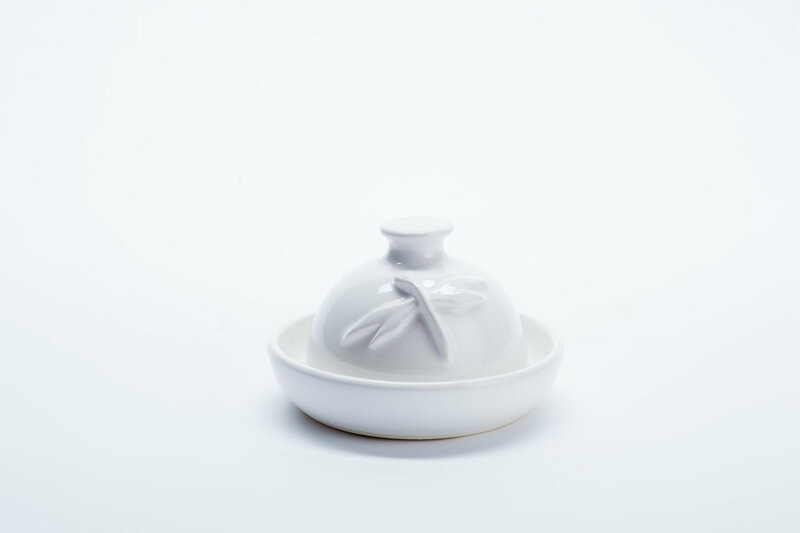 The Dragonfly Butter Dish can be used for serving either butter or cheese. it is hand thrown on the wheel, the Dragonfly is hand sculpted and both pieces are glazed in white. The base of the butter dish is approximately 5” in diameter. Each piece is hand thrown on the wheel so there are slight variations from one to the next. They are dishwasher & microwave safe. *Please note this is a stock photo of the butter dish, yours will look very similar to the one pictured.